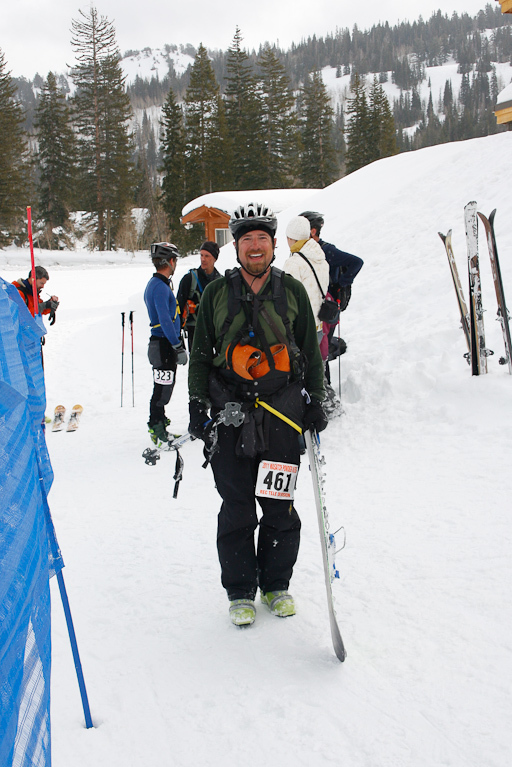 Was happy to see friend Galen (owner of Brighton Ski Resort Photo - Star Photo) taking pics of the race... thanks for Galen! 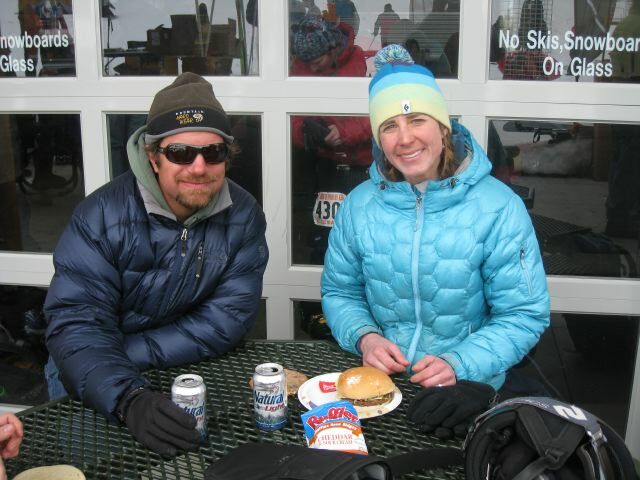 Magali and I enjoying our post race burger and beer. More pictures from Kolin here. A great sufferfest completed! Big thanks to the organizers and volunteers of the Powderkeg. 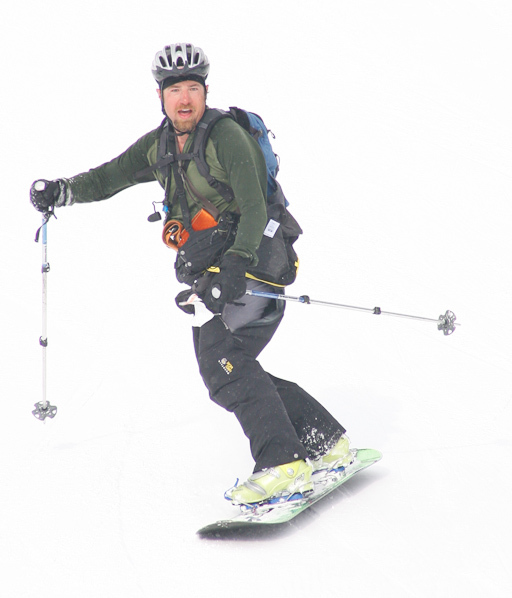 I finished the 3,500ft, 6.6 mile, 4 climb course with a time of 2:05, placing 6th in the splitboard division. Video of Alex Lemieux shreding the 3 ft. of fresh and sunny sky. Wow amazing day! Today was the first time I took the Winterstick off the wall, mounted and rode. I purchased this old school board from Salty Peaks in 2006. 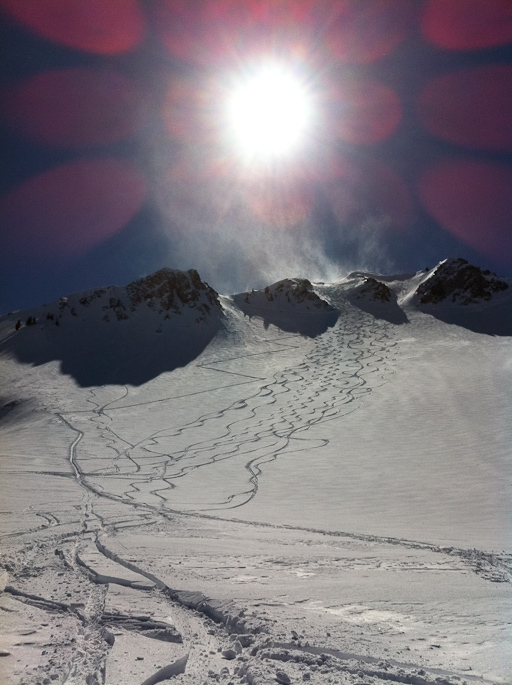 Getting back on the split today, breaking trail in the new snow, more coming possible 40" storm!